Manned security services provide protection for a business, its assets, people and reputation. Our fully licenced security officers receive more training than at any other security company and operate to the highest standards to deliver service excellence. 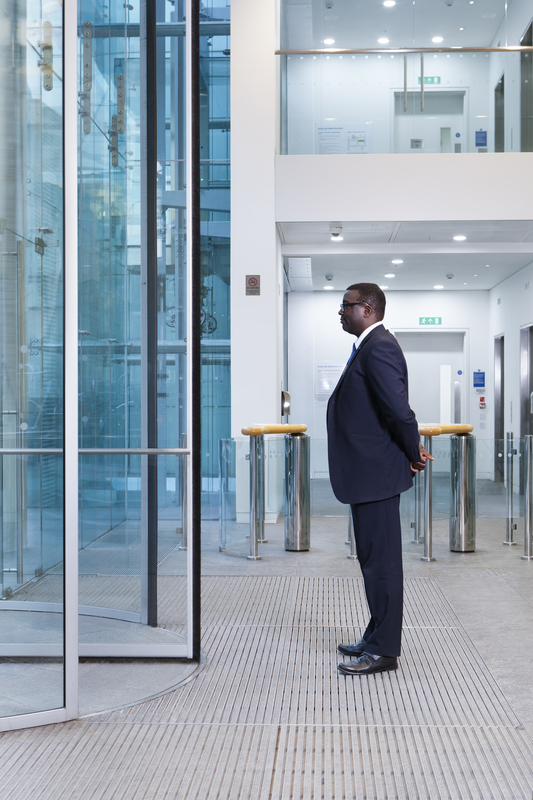 From access control, to patrolling and control room operation, manned security services are complemented by our Servicetrac platform for incident management and reporting. This unique combination provides efficiency and compliance across a single or multi-site environment. Every building or premises has a different function and people flow varies depending on the time of day. Using in-depth training, specialist techniques and equipment our teams can also conduct person and bag searches to ensure security and safety regulations are adhered to. To ensure the most appropriate solution is put in place, the current security operation is carefully reviewed to identify areas for improved efficiencies. Our experts analyse client requirements and ensure the new security solution meets business objectives and complements the core operation. Each security contract is then managed by a dedicated team who oversee all areas of the service and continually look for areas for improvement. "The mobilisation team were extremely knowledgeable in TUPE regulations and were also sensitive and compassionate to individuals' concerns. The whole process was extremely well managed and our security operations were not impaired at all. Overall a successful and trouble-free transfer."